Kolkata, Jan 22 (PTI) In a relief for the Archery Association of India, the sport's international federation Tuesday declared it would not impose any ban on AAI after its newly-elected president BVP Rao initiated a dialogue to resolve long-standing issues. Rao met World Archery secretary general Tom Dielen at its headquarters in Lausanne, Switzerland Monday, requesting for provisions that need to be removed or added in the newly-drafted constitution by former Chief Election Officer S Y Quraishi. At this point, the AAI is recognised as a World Archery member in good standing and no penalty or suspension has been instigated, the apex body said in a statement. On January 16, Dielen, in an e-mail, had said the World Archery did not recognise the AAI elections held on December 22, when Rao was elected as president, contending that the constitution was never formally approved. It then requested provision of the full minutes of the general assembly and the documentation was provided to World Archery by Rao. The threat of suspension loomed large on the newly elected executive body of AAI, which was formed for the first time after the association was suspended in 2012 for violation of sports code. But, after the latest development, Rao said he was hopeful of resolving all the issues soon. "The constitution is not written by me. I requested them to give me a list of provisions which will make a good governance and I will take it to the governing body and then to the court. I will try my best to resolve the issues," Rao, a former IAS officer, told PTI from Lausanne. Dielen said India is a promising archery region and it is imperative that they build a strong federation that will realise its potential going forward. "As such, we will not rush this process but work towards a stable long-term outcome. 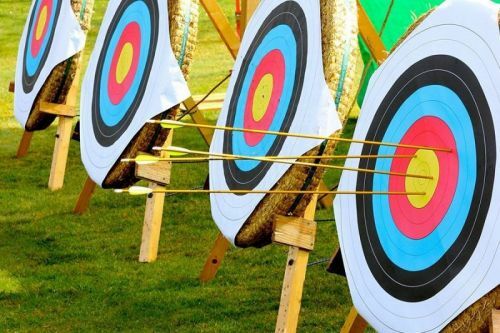 World Archery has the interests of Indian athletes as its priority throughout this period and will put paramount importance on ensuring that those athletes' preparations for the Olympic Games in Tokyo are not interrupted as a result of administrative uncertainty," he said in the statement. An official of the international federation, though, still termed it a catch-22 situation for AAI. "Basically the constitution needed updating. A constitution needs to be accepted by the federation but currently the federation isn't recognised so they can't accept the constitution. "The administrator from the courts made the new constitution and the election was held with it. The results aren't accepted because the constitution isn't accepted," he said. 5 greatest Archers in Olympic history: The modern day Robin Hoods!